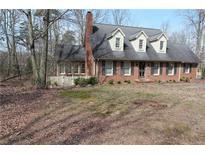 Find Salisbury, NC Foreclosures for sale. View Photos, Maps and MLS Data Now! worth a look, little TLC needed to make your own, priced well come take a look today. MLS#3470735. Owners.com. Buyer must provide proof of funds or pre-qual letter. Located near the Rufty-Holmes Center. MLS#3463357. Kirby Realty Company. Buyer's agent to pay $175.00 offer management fee at closing of any accepted offer. MLS#3440058. Edwin Hunter & Associates Inc.